Home / Books / General / A Retired Card Sharp. How to Win at Draw Poker scientifical[l]y : being a complete treatise on the game, giving the prospective value of each hand before and after the draw, and the true method of discarding and drawing, with a thorough analysis and insight of the game as played at the present day by gentlemen ; containing also how gamblers win, or the secrets of advantage playing exposed as practiced by professional gamblers. (Philadelphia, PA): Royal Publishing Co., 1909. 12mo. 119 pages. (plus 11 pages of adverts). 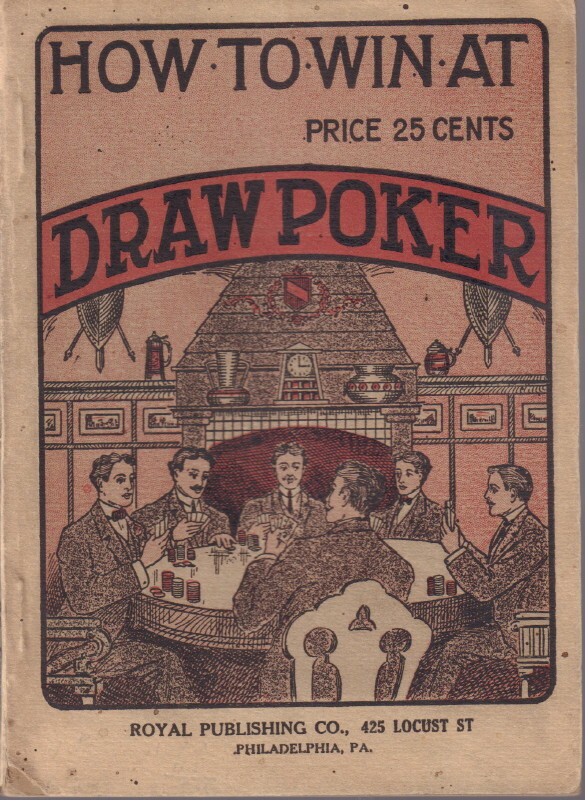 Early and authoritative work on draw poker giving the rules of the game, poker terms, probabilities, poker variations, and playing advice. A very good copy in pictorial wrappers. Scarce, OCLC locates just two copies.